How to Earn Money Teaching Online Now! 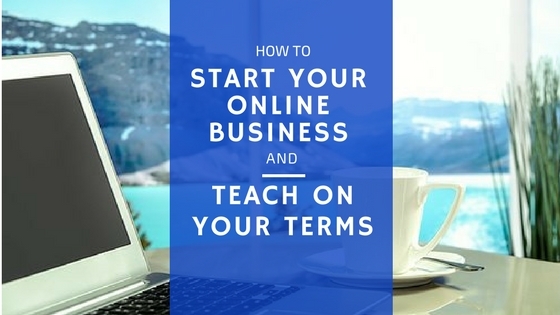 Have you ever thought about how to earn money teaching online with your own business? I remember thinking of the independence I could achieve in my location, in creating my own schedule, and in setting my own prices to earn from wherever I’m at in the world! But I was so overwhelmed by the thousands of articles online each sharing a small piece of the overall puzzle for starting on my own. Luckily, I found all the steps put together in order at Wealthy Affiliate. By the end of this post, you’ll have your own site up and running for free! 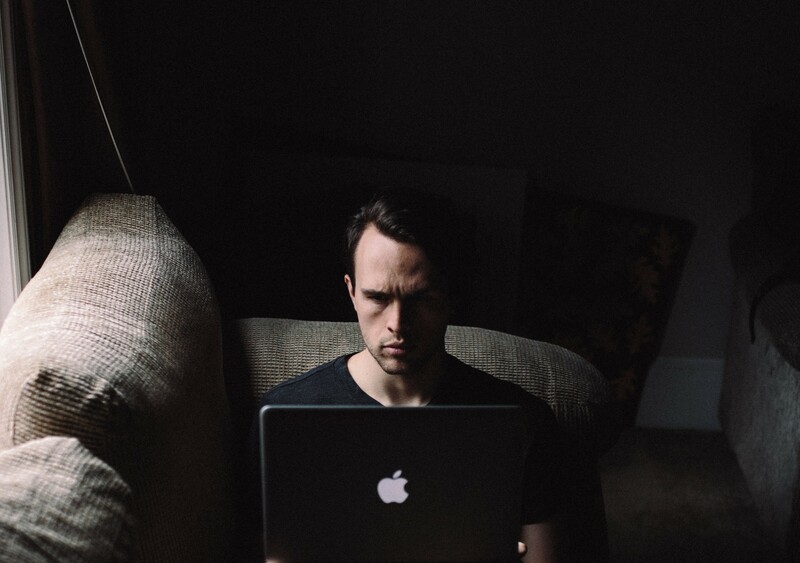 While working for an established company online is often a good way to have consistent bookings and paychecks, we’re still limited in what we can earn from them and what our hours are based on their peak times. Why not continue teaching for your company for security while starting your own independent program on the side? But I’m completely clueless when it comes to web design or programming! I don’t know anything about content creation! It’s all too difficult, and I don’t have time! Let me tell you, I’m the farthest thing from a programmer. But you’re on a site right now I created by myself using the WA platform! If you’re someone like me who wants the process laid out step-by-step in one place, you’re in the right spot. In this post, I’ll show you how WA provides all the tools you need to get started, so you can stop wasting time and money sifting through the overwhelming amount of resources online. Not only did I launch Teach Nomadic with it, but it’s also what I used to create my site for IELTS students at Awaken IELTS, and it works! There are multiple steps to set up a site, promote your site, and earn money through methods like course creation and affiliate marketing you can learn from this training. In this article specifically, we’ll discuss the tools you’ll be given to set up a site. WA: Build a website, create content, and learn to attract potential students, in one place. You’ll need a domain name and hosting. You’ll eventually need to fill your site with content as well to provide value to your readers and build trust with potential students, but we’ll get there. Just know with WA, you’ll be able to do it all in one place! When considering your domain name, it’s best to think of something easy to remember without symbols or numbers (i.e. learn-4-ever.siterubix.com…imagine trying to say that address to an interested student). If you were going to create your own site right now, what would you call it? Just type the name into the box below and see if it’s available! Did you find one available? You can start building this site for free right now! You now have your own teacher’s website! After you’ve learned more about the process of setting up and running your own site by following the simple steps, you’ll have the option to move it to your own personal domain. This is where you’ll get to remove the “siterubix” from your free account and choose a “.com”, “.net”, etc. (e.g. awakenielts.siterubix.com becomes awakenielts.com). It’s best to go for the “.com” when you get to this step if the name is still available, but don’t jam in numbers or symbols to make it work-just opt for “.net” or “.co” instead. As a Teach Nomadic member, you’ll also get free 7-day use of all the premium content and a discount on your first month if you choose to upgrade. You’re ready to take a few minutes to set up your site! Hold on there…in just minutes?! I’ve already told you I’m not a programmer! Like I said, I’m not either…so if I can do it, you can too! For your easy and secure website creation, we’re going to use WordPress. This will walk you through inputting the site title and choosing a theme. In just minutes, you’re off and running with your very own functioning website! Next, let’s talk about filling it with useful content to attract readers and potential students. It’s time to build trust with the people visiting your site. If you’re worried about lacking the skills to be a “blogger or writer”, you can rest assured: you just need to converse with your audience in your own voice and while conveying concepts clearly! Highlight what makes you different from other instructors and why they should take lessons with you specifically. Provide answers to common questions on your blog, give them overviews of subjects, and then show them how you can elaborate on those topics and teach them more. Demonstrate your knowledge of the subject! If I’m struggling to come up with ideas for what to write about, one of my favorite ways to overcome this is to jump into one of the Facebook groups related to my subject. When creating Awaken IELTS, for example, I joined numerous IELTS study groups on Facebook. I’d search through for a question asked more than once, write a detailed blog post providing the answer to it, and then post a link to my page in the Facebook group the next time someone asked it. I hope you find it helpful, and please let me know if you have any questions about it. Happy studying! You’ve provided useful information, you’re not being salesy, and you’ve shared a way this student and any others with the same question can click and check out your site. Plus, if publishing on social media makes you nervous, you can learn all about best practices during Level 4: Mastering Social Engagement! Learn How to Find Students No Matter What You Teach! If you have any interest in role-playing games, you can also try out 4thewords.com. It’s an online writing platform combined with an RPG storyline. It helps writers overcome writer’s block because you’ll need to write a certain amount of words in a set amount of time to progress the story, defeat monsters, and develop your character. This has helped me to get my thoughts down for a first draft I’ll edit and rearrange later on. If you’ve gotten this far, and you’ve started going through the steps at WA, you are miles ahead of others in terms of working towards independence and adding levels of professionalism as an online teacher. Once you’ve established yourself as a knowledgeable instructor in your subject, and your site as a wealth of information for students, you’ll start attracting students and teaching. Remember to collect testimonials from your students to incorporate on your website (like I’ve done at the bottom of the Awaken IELTS homepage)! By using the training at WA and the information given at Teacher Indie you’ll be able to explore other avenues of earning income. These include course creation, group classes, and the main method taught at WA: affiliate marketing. You’ll finally be able to break free as little or as much as you’d like from giving one-to-one lessons by earning from a scalable source, so you can spend more time with family and friends, or traveling to find new locations for Teach Nomadic! It all starts with a professional and functional website and secure hosting. It’s free to sign up: Click here to learn how to get your free bonus training videos! You’ll see me in there! What holds you back the most from starting your own online teaching website? What big question do you want to ask about getting started? Let me know in the comments! This entry was posted in How to Teach Online and tagged create content, get students, start here, website. Bookmark the permalink. What a clever way of starting your own business as a part-time venture. You have a job that pays the bills but also a business where your potential in earnings is limitless. I really like the idea of starting out for free so I don’t lose any money if writing content is too time-consuming. I am going to bookmark this article so I can show it to my wife. Maybe we can start an online business together. Thank you for this suggestion. Great job Jason, really good looking and put together site. I enjoyed reading your article. Very detailed and well explained content. I would love to start an online teaching course. I have always been interested in teaching and sharing information. And I really don’t want to back to school and get a master’s degree in nursing and become a professor. Like you said, even if you work for a company, the amount of money you earn is limited. I would like to have an online teaching class and charge people at the rate that I think is fair and work anywhere and be my own boss. Thank you for the amazing content. Will be checking out more articles in the future. Hey there! I’m a student and I’m looking for a way to earn extra money online. I wanted to start an online business like creating my website and start earning with it. I read your guide about how to start a website and everything but there’s one thing that I didn’t read. How do I earn money after I set up my website and everything? I really appreciate your response. Thanks for stopping by! What subject are you studying? If you excel in a certain subject that other students tend to struggle with (math for me! ), you can leverage this knowledge and offer tutoring sessions online through your website! Once it’s all set up, check out our article about how to find students no matter what you teach. You can draw traffic to your site using the methods discussed there and by writing helpful blog posts-with a bit of effort, you’ll have a steady stream of regular students in no time! You can also check out our interview with Michael Lavers, where he shares the steps he took to get consistent students through his site. Let me know if you have any other questions, and best of luck! Thanks a lot for sharing this information with me. For all these years, I have dreamed of creating my own business website. but I was just afraid because I knew nothing about programming as you mentioned. I’m very excited that you have shown me where I can go and create my own website for my online business. I really like the fact that you said Wealthy Affiliate teaches you how to build your own website through video training. Thanks a lot, very soon I will be starting my own business online. No problem, Stephen! I’m glad it was useful to you. The training at WA will give you the skills to build a consistent and recurring income online with an online teaching or coaching business. As always, let me know if you have any other questions as you go through the process. As a member of WA for the past 6 months, I can definitely verify that this is a great way to start an online business, considering the fact of how easy it is! It is definitely encouraging to see a video from the founder that shows the process of setting up a website in under 30 seconds. And the fact that you can start one up for free is perfect for anyone that wants to give this a try and see where they go with it. This for me is where it all started with creating a website, as I had zero experience prior to joining WA. However, within a week of joining, I had a website up and running. And it was not long after that when I made myself a weekly schedule for creating content within it! The training there is awesome and perfect for anyone that has ever wanted to earn an income from home but is not sure how to or where to get started. My question is, what advice would you give someone that is just starting out with a new website there? Thanks for the comment and question, Arie! I’m glad you’ve been finding the training as useful as I have. 1. If you teach or coach online for a different website or company, or if you have a regular 9-5 job, don’t quit it right away. As you know, this isn’t a get-rich-quick scheme but a method that, with time and consistent effort, can earn you a consistent monthly income online. Check out our interview with Michael Lavers for a bit more advice on this where he shows how he taught online for a few different platforms while building up his own site before moving his students over there. Think of this as your side-hustle at first. 2. As mentioned in number 1, be patient and consistent. I think it’s great that you have a schedule for creating content! Continue to create content, provide value, and allow time for your site to gain authority. Follow the steps in the course and trust the process. The training at WA is designed to give you exactly what you need to successfully earn money from an online business, especially one in teaching or coaching, but I see too many people give up when they don’t see results in a week or a month. Don’t be that person. 3. Don’t only trust the process, but enjoy it! The skills you learn with this training (SEO, web-writing, WordPress setup and management) can be used elsewhere to earn money as well! You can help local businesses gain exposure, write educational articles for a different website-the list goes on and on. Earning extra money as a teacher can be tough given the long working hours that we have to commit. But your post has given me something to think about. My sister teaches elementary kids so my question is, how can she reach out to this type of audience online? Plus, kids at this age range don’t have a lot of buying power so how will that make one’s teaching profitable? Thanks for stopping by and for the great question! There are a number of online schools that target young learners, often for language lessons or tutoring. I mention a few sites in my post about How to Become an Online Teacher-An Overview of the Requirements. The company I work for, VIPKID, aims to provide a U.S. elementary school education to young students in China. If you’re looking to set up your own site to target these learners, however, just remember that you’re also trying to please the parents! They’re the ones with the buying power, and you can often find listings looking for a tutor for their child who is “energetic, supportive, offers timely and accurate corrections, consistently uses props, etc”. If you offer a trial lesson on your site, use that time to demonstrate these qualities in your online class! When you give an enthusiastic and memorable trial lesson, the student will have a blast learning from you in a fun way, the parent will see this (they’re almost always just off-camera or sitting right next to the child at that age), and they’ll want to continue making their child happy by booking future lesson with you! Your sister can search through some of the online tutoring sites listed in the article I mentioned, look up some more location-specific tutoring sites that cater to your area, or simply tutor local elementary school students in person and ask for their testimonials so she can share them on her site while she builds it out using the skills learned here at Wealthy Affiliate! She can always switch it up and search for adult clients as well if she enjoys it. She’ll be teaching online in no time :)! As always, please feel free to send me any follow up questions you or she might have-I’m happy to help!